University of California Press offers hearty congratulations to three of our authors that were the recipients of 2016 PROSE Awards from the Association of American Publishers last week in Washington D.C.
Aldon D. Morris was given the R.R. Hawkins Award, the ‘grand prize’ for all publications which are considered for an award, for The Scholar Denied: W. E. B. 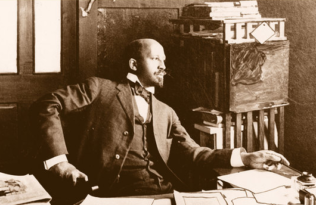 Du Bois and the Birth of Modern Sociology. Dr. Morris’s book also won the Award for Excellence in Social Sciences and the Sociology & Social Work subject category. View his eloquent acceptance speech from the awards luncheon on the AAP’s website. 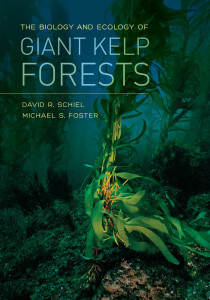 In the Single Volume Reference/Science subject category, David R. Schiel and Michael S. Foster won the award for The Biology and Ecology of Giant Kelp Forests. The entire UC Press team is honored to have published these two important works in their respective disciplinary fields, and offers hearty congratulations to Aldon D. Morris, David R. Schiel, and Michael S. Foster. Additionally, profuse thanks to the AAP for recognizing excellence in university press publishing over the past 40 years. The R. R. Hawkins Award has been presented to the most outstanding work among each year’s entries its inception in 1976. Hawkins winners have included Wiley Interdisciplinary Reviews (WIREs) (John Wiley & Sons), Atlas of the Transatlantic Slave Trade (Yale University Press), The Diffusion Handbook(McGraw-Hill) and Alan Turing: His Work and Impact (Elsevier). The 2016 R.R. 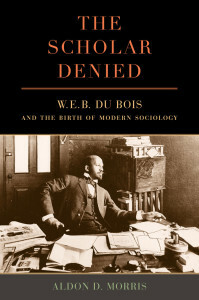 Hawkins Award was presented to University of California Press for The Scholar Denied: W.E.B. 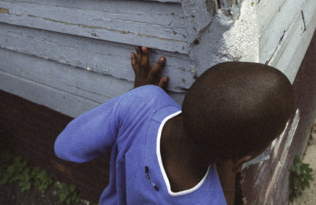 Du Bois and the Birth of Modern Sociology by Aldon D. Morris.